“The Drop” will also take place at Midnight! 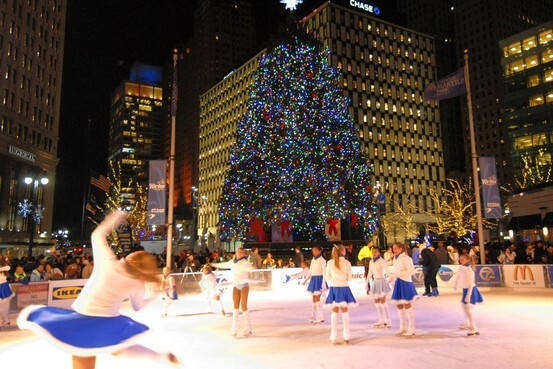 The fourth annual Motor City New Year’s Eve “The Drop” will be hosted on December 31, 2013 in Campus Martius Park. The free community event, sponsored by Opportunity Detroit and Bamboo Detroit, will take place from 5:00 p.m. – 1:00 a.m. and will include a unique Detroit-themed ball drop. Entertainment throughout the night will include DJ Tom T and the band The Strange. In addition to entertainment, attendees will be able to ice skate in the park and enjoy s’mores and other concessions. New to the event this year, due to popular request from families throughout the region, will be a family friendly Kids’ Drop at 6:30 p.m., for those that want to bring their children out to experience this special event. This year the ball drop will come down from the Chase Tower, which faces Campus Martius Park, with the historic Penobscot and Guardian Buildings providing a breathtaking backdrop. Also new this year will be a food truck rally, featuring Detroit-area favorites such as the Mac Shack macaroni and cheese, Rolling Stones wood fired pizza, and more. Fountain Bistro will be having specials running throughout the event, multiple beverage centers will also be placed around the park that will have drink tickets, $10 for two beverages. *Please contact us as we have parking blocked off at Campus Martius for Media. 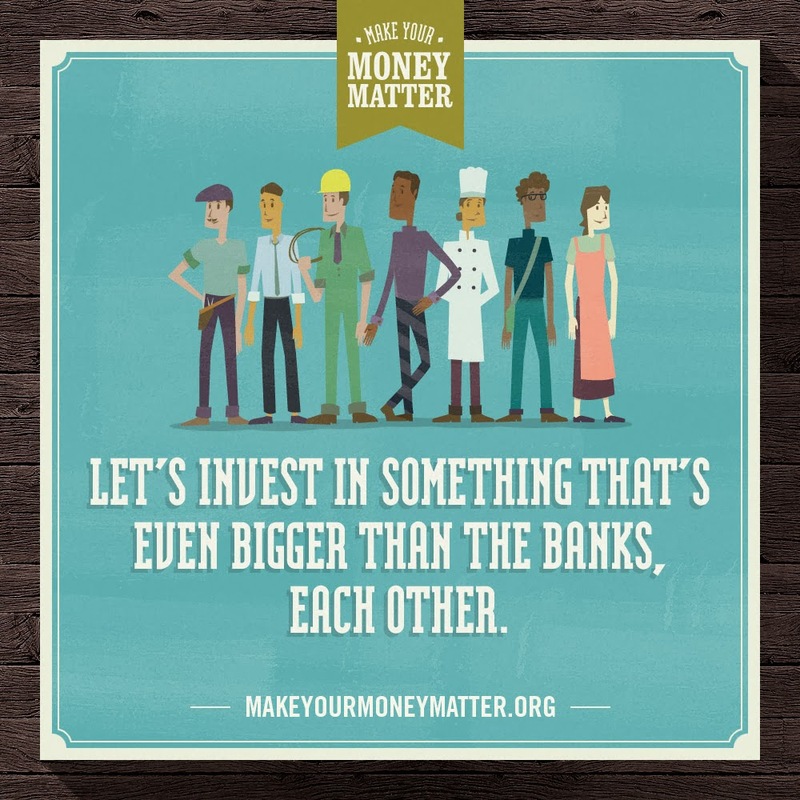 "Make Your Money Matter" is a grassroots campaign introduced by 8 credit unions from across the country and PSCU that aims to educate a new generation of consumers about the wealth of benefits credit unions provide over big banks. Local Credit Union, click here! Construction is scheduled to begin next year on a number of projects designed to make roadways in the Detroit area more bicycle-friendly. A focus on safety is part of what is driving the expansion of biking infrastructure in the area, the Detroit Free Press reported. Warren, Detroit, Ferndale and the Grosse Pointe communities are among those planning significant projects. In Warren, for example, the right lane in both directions of a more than one-mile stretch of Van Dyke will be converted to a bike lane with help from a $292,000 grant. Mayor Jim Fouts said it is a worthwhile experiment, although he knows some drivers might complain. “I’m willing to take a chance. I’m a strong believer in outdoor activity,” Fouts said. Bill Gambill, Warren’s neighborhood services and grants coordinator, said a traffic study showed that seven lanes aren’t needed in that area. He said five through lanes and a turn lane should be enough for the volume of traffic on that portion of Van Dyke. A 26-mile loop through Detroit, Hamtramck and Highland Park called the Inner Circle Greenway is expected to get funding for acquisition of more property. Bike lanes are planned on Detroit’s east side. And bike lanes also are planned in Ferndale. In the Grosse Pointe communities, road signs and bike racks are planned. In addition to local efforts to build bike lanes and paths, the Southeast Michigan Council of Governments and the Michigan Department of Transportation are looking at bicycling in their regional non-motorized plan for the seven-county region. The plan in part will analyze existing and proposed on-road and off-road bicycle facilities. Barbara Teranes, 73, of Grosse Pointe, has been an avid bicyclist since she was a child, riding in Michigan, other parts of the U.S. and in Europe. Teranes and her 77-year-old husband, Paul Teranes, are members of the Easy Riders Bicycle Touring Club. “The more people we have riding bikes, the safer it will be for bike riders,” Teranes said. But despite the bankruptcy, crime, urban desolation and despair, a different story is emerging. Slowly, the Detroit phoenix seems to be peeking from its very substantial ashes. Slowly, the Detroit phoenix seems to be peeking from its very substantial ashes. The lunchtime walk from the MGM Grand is weird. It’s cold, there are no cars. It is reminiscent of Reykjavik, the capital of Iceland, where everyone stays inside — only the crazy or naive walk. Across the Detroit river is Canada. The smokestacks and stacked aerials are the perfect setting for a Springsteen song. But at 1555 Broadway Street, just across from the Detroit Opera House, a once-famous building has become the lodestone for the city's regeneration, a coworking space that houses startups — even a company known as Twitter. The M@dison Theater was originally built in 1917 and was crumbling away until it reopened in 2011. It was purchased by Dan Gilbert, the chairman of Rock Ventures and Quicken Loans, the largest online retail mortgage lender in the U.S. This followed Gilbert’s decision to move his Quicken Loans family of companies and 1,700 employees to Detroit in 2010. The M@dison’s purchase is part of a longstanding future commitment to the city. “The Madison building project is another step in the … vision for a technology corridor of growth … in the heart of downtown Detroit," said Gilbert at the time of the M@dison’s opening. "This historic building will be molded into an exciting center where young entrepreneurial enterprises will collaborate, innovate and build the kind of 21st century businesses that our new economy in Detroit will be based upon." In the interim two years, Gilbert’s vision has more than come to pass. Through Rock Ventures, the umbrella entity of Gilbert’s portfolio of companies, the company now owns more than 40 downtown properties, totalling nearly 8 million square feet. (Interestingly, one of those properties is the newly opened Greektown Casino.) Gilbert-owned businesses employ more than 11,500 people in the city. Even on a bitterly freezing day, the M@dison building is impressive. Much of the original materials were used in its rebuild. Exposed steel beams add an industrial effect, and original graffiti graces the walls of the formerly abandoned site. There is also a cool rooftop area and a large event space, as well as the mandatory coffee machines and community games area. The M@dison building has not only created a coworking space for tech entrepreneurs, its influence has become a household name: "the M@dison Effect." It's a phenomenon in which companies that have grown too big for the M@dison have moved into nearby offices. Block by block, Detroit’s tech scene is reviving a great city. Even Google moved in. The streets outside Avalon Bakery in Detroit's Midtown are a snowy, slushy, mostly unplowed mess, and all these customers want to do is pay for their loaf of Motown Multigrain or Poletown Rye. But Detroiters are a gracious, if weary, bunch. So when they see yet another reporter sticking a microphone in their faces, asking what they think of all this media attention, they answer politely. And even if they're not always crazy about the way their city is portrayed, no one argues with the fact that Detroit had a newsworthy year. "Whatever bleeds leads," says Jeff Reid, who moved to the area to take a job at Ford. "People like to show the dilapidation and the poor parts." "It actually isn't surprising that the media has put so much attention on Detroit. I just wish it was positive," says Leslie DeShazor. "It's become the stepchild city everyone likes to make fun of," says Jonathan Rajewski. "Everybody's done it — everybody's made fun of Detroit." Its former mayor, Kwame Kilpatrick, was sentenced this fall to 28 years in prison for corruption. It's officially the biggest city in American history to file for bankruptcy protection, which it did this summer. And on CNN, food personality Anthony Bourdain compared its aesthetics to those of Chernobyl. But Detroit's story is not just about astonishing corruption and dystopian landscapes. There's also renovation — proven by a Whole Foods in Midtown, which opened over the summer to great fanfare. As the first Whole Foods to open in the city, it's part of the up-and-coming, hip, more affluent Detroit. In the past year, this neighborhood and a few others have seen remarkable revitalization. Big companies are relocating downtown, bringing thousands of workers to the city's core. You can now find boutiques. New bars and restaurants. Nightlife. People. Nancy Kaffer, a columnist for the Detroit Free Press, is grabbing a grocery cart at the Midtown Whole Foods. She's picking up ingredients to make cookies for friends who are helping her move from the suburbs to the city proper. "Our new cliche for Detroit is it is a tale of two cities," Kaffer says. Kaffer says the fact that Detroit's story is so complicated makes it all the more fascinating: "Every year that I've been covering the city, we always say, 'This is the most pivotal moment; this is the biggest turning point in the city's history.' And it's always true." 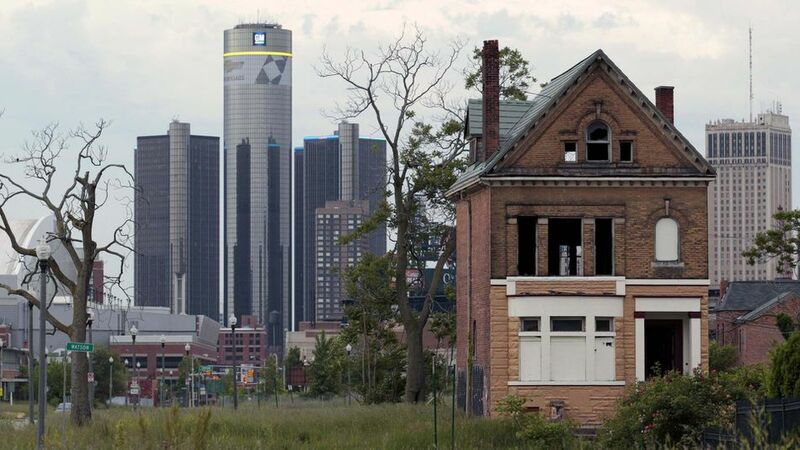 In large part, Detroit is the poster child for distressed cities. Its problems are bigger, its scandals more spectacular, but fundamentally they're the same problems facing dozens of cities. So how Detroit deals with its financial mess, as it strives to stem its decline, is something a lot of people are interested in. "I would call the last year a cleansing year, and the beginning of a renaissance, says Reid, at the Avalon Bakery. When he first moved to the area, he lived outside the city, "because I thought I'd get killed if I lived in Detroit," says Reid. Then he visited and fell in love with it. He moved here a little over a year ago. Must See TV: The Today Show Features Detroit's 'Empowerment Plan' (video)! A 30,000-square-foot warehouse designed for artists and entrepreneurs. One tenant is Veronika Scott, whose Empowerment Plan hires homeless women to make coats that double as sleeping bags. Rent: 10 cents to 20 cents per square foot Test Case: Developer and designer Phillip Cooley sees it as a study of how the foreclosure crisis can positively affect communities. Quicken Loans founder and homegrown businessman Dan Gilbert's entrepreneurship accelerator, with 37 start-ups in its portfolio. Number of Local Ventures funded: 18 per year No Time to Lose: Bizdom hosts three accelerator sessions annually. Once one of the most notorious abandoned buildings in the country. A local consortium started a $53 million residential redevelopment in 2010, creating loftlike spaces for young professionals. Occupancy: 100 percent In Demand: Five days after the building’s opening, all 124 apartments were leased. 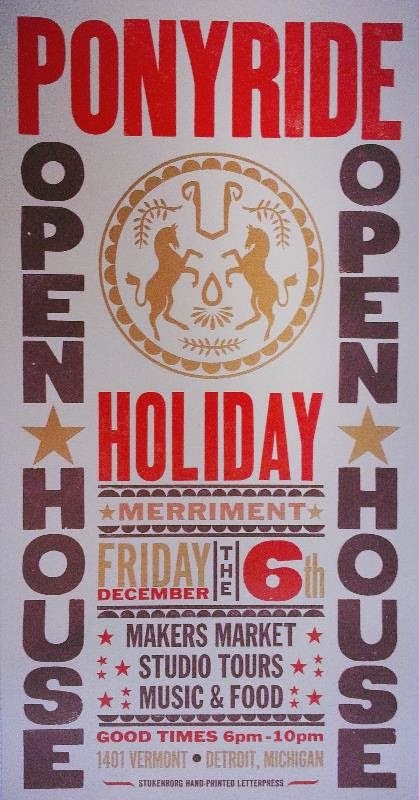 Support Local Small Biz This Friday Night: Holiday Merriment & Market At Ponyride! What happens when Ponyride hosts an annual small business holiday shopping event? It starts a new trend called "Hot Pink Friday"! This Friday, from 5-10pm, come eat, drink, and be merry. Shop handmade and edible goods from over 50 Detroit businesses while you tour the 30,000sq.ft. space of Ponyride. Its a multi-floor holiday shopping experience where you'll be sure to find a few more holiday gifts for those on your list. Come support the best of Detroit's creative community on Hot Pink Friday, December 6th, from 5-10pm. 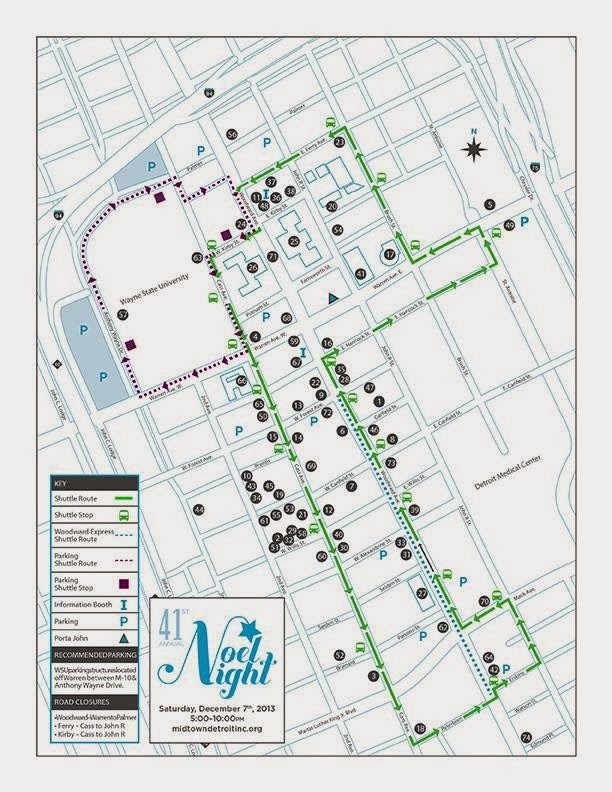 The 41st Annual Noel Night Is This Saturday In Midtown! The 41st Annual Noel Night will take place on Saturday, December 7th from 5:00 p.m. to 9:30 p.m. in Midtown Detroit’s Cultural Center Area. Over 70 institutions, including the Detroit Institute of Arts, the Charles H. Wright Museum of African American History, the Detroit Historical Museum, the Detroit Public Library, amongst many others, open their doors to the public free of charge during this Cultural Center-wide holiday "open house." 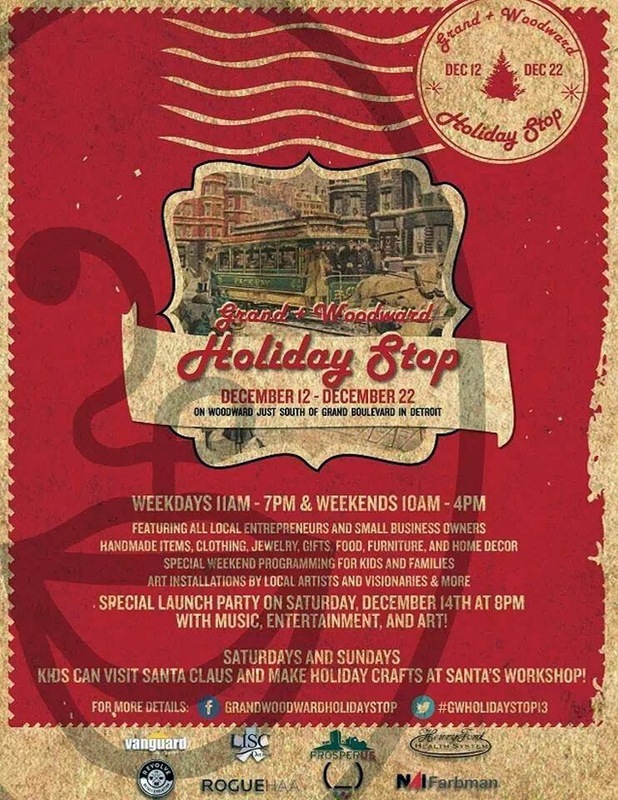 Activities include horse-drawn carriage rides, holiday shopping, family craft activities and performances by over 120 area music, theatre, and dance groups. The evening’s festivities culminate with a community sing-along on Woodward Avenue led by the Salvation Army Band — a long-standing Noel Night tradition. Noel Night is produced by the University Cultural Center Association, a nonprofit community development organization that supports economic growth in Detroit's Midtown district. Call 313.420.6000 or visit http://midtowndetroitinc.org/events/noel-night/noel-night for additional information. 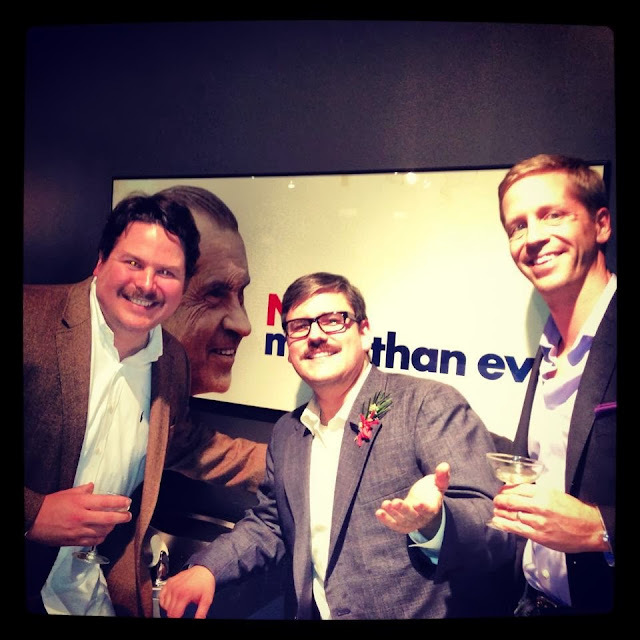 The Inspiration For "Ron Burgundy" Is Revealed.....And He's From Detroit! Unless you were born yesterday or just moved here from Brooklyn to open an art studio, all Detroiters should know who Mort Crim is. Even if you weren't around during his heyday, you should probably pick up the White Stripes' "Elephant" album and listen to "Little Acorns." Crim anchored the nightly news on WDIV alongside Carmen Harlan from 1978 to 1997, where he retired. But before landing in Detroit, Crim anchored Philadelphia news broadcasts with Jessica Savitch, the tragic reporter whose career was cut short after a fatal car crash in 1983. 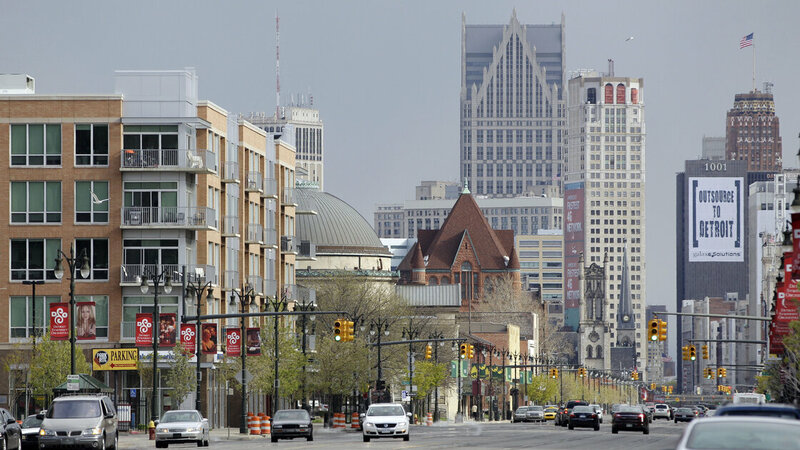 "Since 2006, We've Had $12B In Private Capital Investment In The City Of Detroit....(video)"